Looking for hydraulic parts Los Angeles CA? Come to Bernell Hydraulics. We have an excellent staff of sales people and technicians that are ready and willing to share their knowledge of hydraulic parts and systems with you. We have parts suitable for just about every operating requirement including high and low temperatures or pressures as well as different kinds of fluids. We can also offer parts with higher chemical or abrasion resistances to help you get better performance in rugged applications or extreme operating conditions. Need Help Installing Your New Parts? 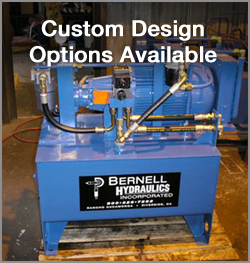 At Bernell Hydraulics, we offer 24 hour onsite assistance with repairs and installation of new hydraulic parts. If you know exactly which parts you need, you don’t even have to come to the store–just give us a call and we’ll send one of our mobile techs to your job site with the new parts in hand. We always test the equipment after we’ve performed any work to give you peace of mind that the repair has been done correctly. Remember, when you need hydraulic parts Los Angeles CA, you can call Bernell Hydraulics for parts sales and installation and kill two birds with one stone.